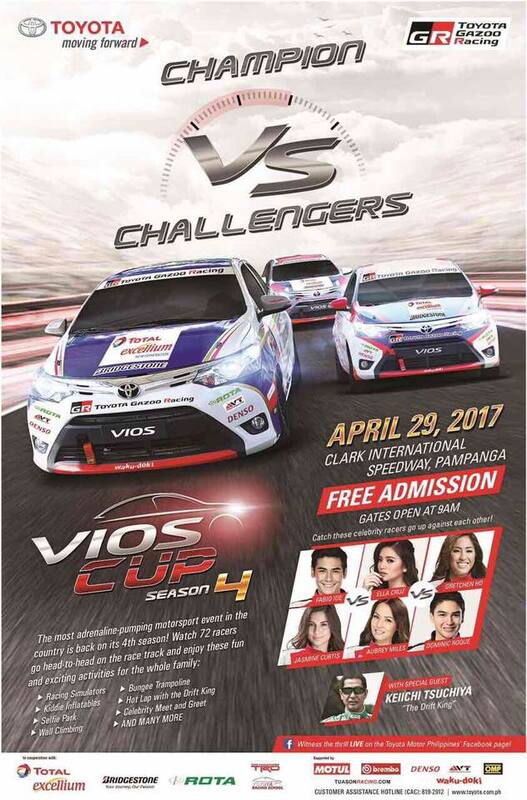 Vios Cup 2017 Season 4 is definitely happening this year with another thrilling race coming this weekend. Race 1 is set to kick off on April 29, 2017 at Clark International Speedway, Pampanga. With 72 participants including new celebrity drivers and special guest, “The drift king” himself, Keiichi Tsuchiya. Don’t miss out on this exciting motorsport event of the year. See you there!